He was known as President Trump's fixer but Michael Cohen will soon be known as a federal inmate. Melissa Russo reports. 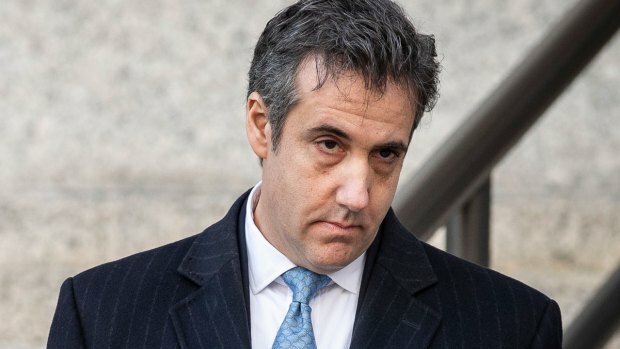 Michael Cohen, who as President Donald Trump's personal lawyer and fixer once vowed he would "take a bullet" for his boss, was sentenced Wednesday to three years in prison for an array of crimes that included arranging the payment of hush money to two women that he says was done at the direction of Trump — a scandal that could damage Trump's presidency. The sentence was in line with what federal prosecutors asked for. Sentencing guidelines called for around four to five years behind bars, and prosecutors asked in court papers that Cohen be given only a slight break. Cohen will begin serving his sentence on March 6. He called the case a "smorgasbord of criminal conduct." The judge also ordered Cohen to pay $1.39 million in restitution to the IRSR, forfeit $500,000 and pay $100,000 in fines. He was ordered to report to prison March 6 and left court without comment. 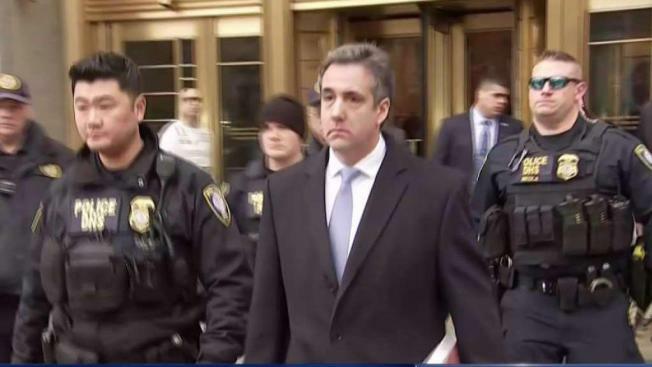 Moments before learning his fate, Cohen told the court he blamed himself for conduct that brought him there, according to WNBC’s Jonathan Dienst. Cohen added that “blind loyalty” to Trump was his weakness that led him astray. Cohen said he takes full responsibility and called this one of the most important days of his life. "I am truly sorry, and I promise I will be better," Cohen said in tearful remarks. 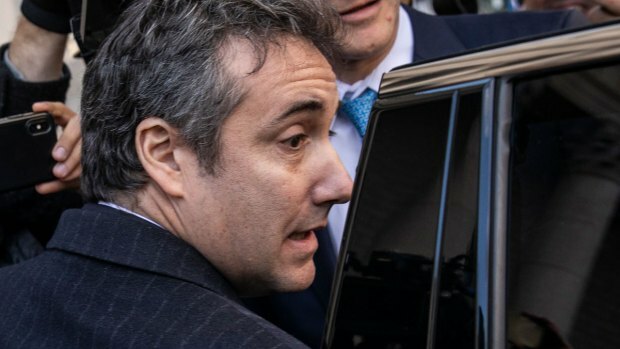 Before resting, Petrillo said Cohen had the misfortune of being the president's counsel and asked for "full consideration of mercy." Jeannie Rhee of the special counsel's office said Cohen's cooperation has been helpful in the office's investigation and that he spoke the truth, highlighting for the court that value and reliability of Cohen's statements. However, the prosecutor for the Southern District of New York said Cohen “didn’t come close” to helping their office. Lanny Davis, who was previously an attorney for Cohen, said in a statement that Cohen “continues to tell the truth about Donald Trump’s misconduct over the years.” He added that he will help Cohen “state publicly all he knows about Mr. Trump” after Mueller completes his probe. “Mr. Trump's repeated lies cannot contradict stubborn facts,” Davis said, adding that he will now serve as a communications adviser to Cohen as the sentencing process is complete. Cohen was seen leaving his New York City apartment after 9:30 in a black car after hugging family members, NBC News reported. He then walked into the courthouse with his wife and children just after 10 a.m. and did not speak to reporters before or after the sentencing. After Cohen's sentencing, federal prosecutors in Manhattan revealed that they have also reached an agreement with National Enquirer parent company AMI, in which AMI admitted it made the hush-money payment at Cohen's direction. AMI will not be prosecuted as part of that deal, in exchange for what was described as its "substantial and important assistance in this investigation." "AMI further admitted that its principal purpose in making the payment was to suppress the woman’s story so as to prevent it from influencing the election," prosecutors said.